If you’re a craft beer drinker odds are you’ve at least heard of Untappd. It’s an app for your mobile device that lets you keep tract of, rate, and share the beer you’re drinking as well as the place you’re drinking it. It’s great for beer drinkers everywhere. I’ve had it since 2014 you can find me there under @TheBeercat1 and I love it. For me it’s the best way to keep tract of the beer I’ve and and the beer I liked and the beer I wan to try. I mean what did we do before this, keep a spreadsheet? No thanks. 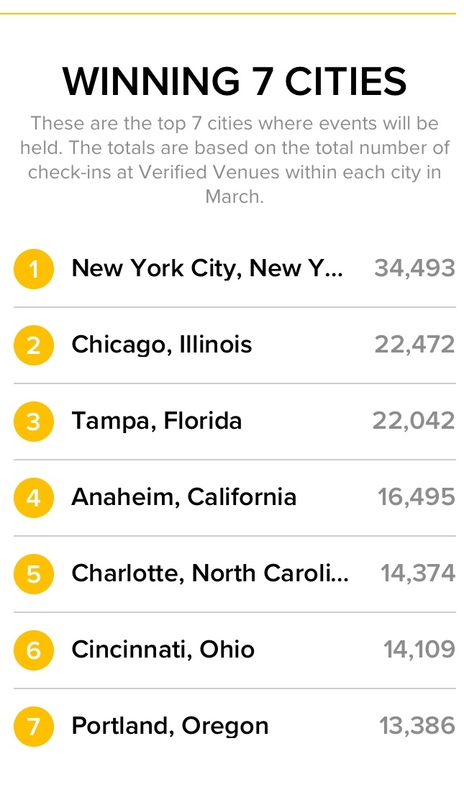 Recently Untappd decided to throw a party in 7 different cities that had the most check ins at an Untappd verified venue. You would guess that cities like New York, LA, or Denver would dominate this type of contest and you’d be pretty pleasantly surprised by the Top 7 cities that won. You read that right. Cincinnati, the Queen City herself, made the cut with over 14,000 check ins. That’s pretty awesome when you think about how much the beer culture has grown around Cincinnati. Some other cities that jumped out to me were Tampa coming in at #3 and Charlotte and #5. I’ve heard good things about the breweries in Tampa, and will get a better look at some up close later in April at a Bottle Share that I’m attending, and will be writing about later as well. So now I’m even more excited to check those out. It’s been a little while since I’ve been to Charlotte but I might have to check it out soon. The details for the Untappd event coming to Cincinnati has not been released yet, they just announced the winners today but it looks like Madtree Brewing is one of the most popular check in spots in the city so I’d guess they’re the early favorite. The only other detail that we know for sure right now is that Untappd Co-Founder Greg Avola will be at each event. In light of recent events I can say Cincinnati doesn’t win a whole lot of things so I’ll take whatever W I can at this point.